In your area stream, swamp or ready your reservoir, you know, you’re a lucky man. Own, even just a little pond, it is difficult to implement the dream of any city dweller, but if in your pond and even fish can grow, there’s no words that could describe the happiness that befell the owner of this site. To grow fish in your pond is not so big problem. And to solve this small problem, will try in this article to help you. You first need to choose the kind of fish you want to breed and that certainly will take root in your pond. And best of all take root in a small pond unpretentious breed, this Golden carp and tench. They should be breeding not only because of nepriveredliv. I hope you know what Karasin fishing, where the reality is lost time, and he pecks and pecks. But I digress, that’s another topic. 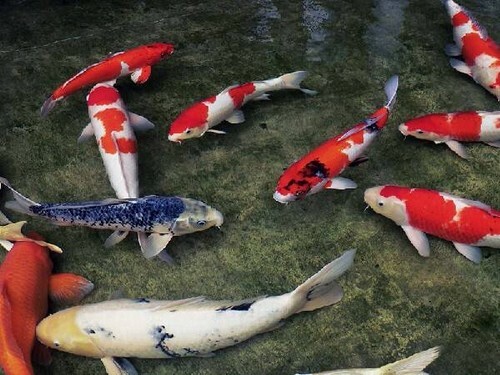 This fish grows slowly, but it can not be afraid of overcrowding your pond, in the presence of the forage, after any four years you can get individuals who weigh 300-400 grams. Slightly faster growing silver carp, but the fact that it reproduces this form in the presence of the pond of other fish (carp, Golden carp). But whatever fish you are trying to breed, the most promising at the moment is carp. Already in the third year of this fish will weigh about 1.5 kg. the carp is omnivorous, some farmers call it a water pig. Carp eats literally everything, both vegetable and animal food. Does not show this fish to the high demands and to external conditions – does not require presence of oxygen, it tolerates the winter, feeding begins at a relatively low temperature (approximately 12 degrees), although the weight she begins to dial after the water in your pond warms up to 20-23 degrees. And so with the species of fish decided it was time to make a clear plan of action and strategy. Fish can be grown from fry, but it will take 2 or even 3 years. There is another option to grow on the adults. This method of growing is one of the spring-summer period. Then your pond can be drained and repaired and disinfection work. Let’s say you chose the second option and launched in their two-year carp pond. This carp already weighs 0.5 kg and if during the season to intensively feed the fish, then the fall of the weight will have tripled. In this method, the only drawback to the one to early spring the necessary quantity of live fish is problematic. 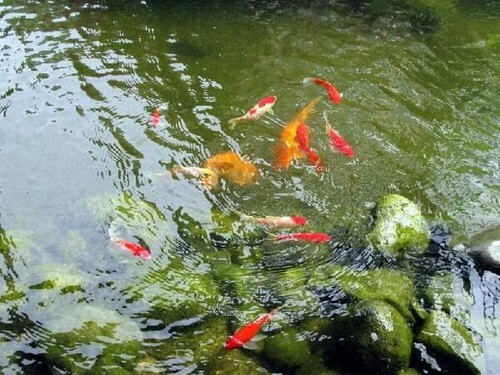 Even if it’s not a problem for you, it is unlikely that your pond near a source of such fish. And transportation of adult fish at a great distance require additional costs and special conditions that are not so easy. Consider the case when the reservoir serebryatsya with fry. It is better to conduct this operation in June-July, i.e. at the same time, the larvae hatch in natural waters. One of the drawbacks of this method – wintering fish. If to leave everything to chance, most likely your fish will die as a result of suffocation, in other words, due to lack of oxygen. But there are no hopeless situations and there is a way to prevent this misfortune. Once the pond is covered with ice and its thickness reaches 3-4 cm, it is necessary to make a hole in the ice and pump out of the water. Pumped out the water with a pump, if no pump will have to bail the water out manually, the benefit that your pond is small and this job can handle even one person. As a result of selection of water beneath the ice is formed the air space, which will serve as a source of oxygen for the water for the whole winter. Wormwood, cut through earlier will have to insulate that would be the frost snuck in under the ice and re-froze the water. One of the most important conditions for the growth and reproduction of fish is feeding. 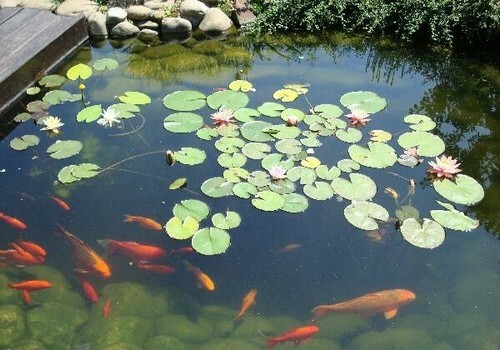 If you rely only on natural feeding in one cubic meter of water your pond can only contain 2 or 3 individuals. If the fish to feed, this figure can increase twice. And that’s when it seemingly began with Amateur fish farming can become a very profitable business. 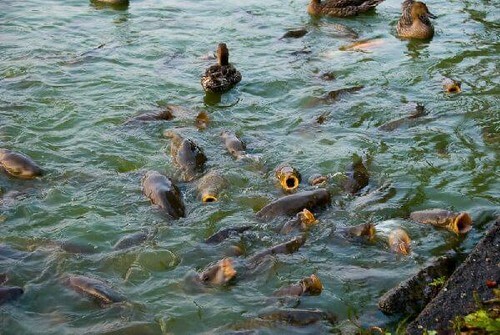 In the natural pond big role in the nutrition of fish carry out zooplankton and phytoplankton. Consequently, an artificial reservoir should be close to natural, which a third of the area of planting aquatic vegetation, shallow water well silting. It promotes the breeding of bloodworms and other aquatic animals, which enjoy eating fish, and you will not be bothered by the fact that the fish will be hungry. However, no matter what you event is not performed, it is not necessary to neglect an additional feeding. It is only with her you can be confident in the steady growth and, of course, gain. The feed is everything and boiled potatoes, and cake, and feed, and peas, and oats, and food waste and stuff, stuff, stuff. But there is the “BUT” — the main thing is not to give more food than is consumed, otherwise the food they don’t eat fish will start to rot that poisons the water so a small pond. So arrange not difficult feeder, it will fit an ordinary old bowl in which to put food and carefully lower into the water. In the evening you can raise the feeder, thereby removing food debris. This method will help you to adjust the amount of feed. As you can see breeding fish in a home pond is available it is even possible to make a profit, and even on your table is always fresh fish. And the last one. Imagine the following scene – in the Evening on the shore of its lake, the wife has sent you a clean tablecloth, the tablecloth, put the pickles, and from the refrigerator took a sweaty bottle, and you called godfather, took the bait and the godfather near the tablecloth with a snack, but with the bottle, but still with a fishing rod. Than not fishing. Moreover, know that the fish definitely is.